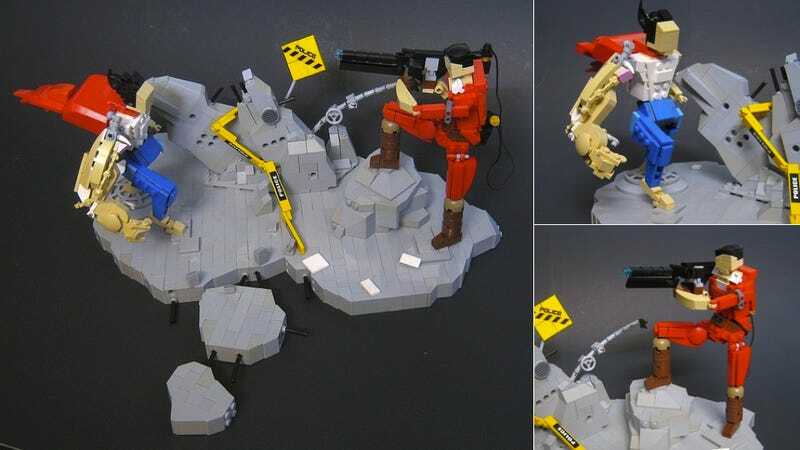 This Akira LEGO Diorama Will Make You Scream "Kanedaaa!" Internet person Arkøv created this wonderful Akira diorama, complete with concrete rubble, Tetsuo, a flowing cape, Kaneda, and a laser cannon. Pew. Pew. The diorama is somewhat abstract, smartly sidestepping mini-fig representations to bring Akira to life. I am...impressed. In 1988, Akira was turned into a feature film anime by Katsuhiro Otomo, who created the original manga.